Best Time to buy water purifiers is today on 22 march 2015. Because if you are finding a great discount deal price on water purifier then buy it today on Flipkart, because today is World water day and flipkart giving 10% extra discount on all the water purifiers. 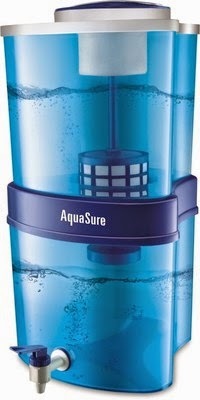 Even i also bought a Eureka Forbes water purifier today. So, guyz, don't miss this chance and buy water purifier in never come back discount from flipkart. Don't miss more Amazing offers, Subscribe All india Coupons via email below.